Magnificent 3 BR | Panoramic Sea views ! Dubai is the most populated city in the seven emirates that make up the United Arab Emirates (UAE). Dubai has emerged over the years as a metropolitan city and the business hub of the Middle East. 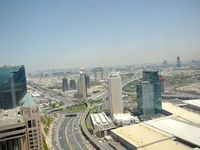 Sheikh Zayed Road is the longest road in Dubai and the main artery of the city. It runs along the coastline of the Emirate from Trade Centre Roundabout and all the way to the border between Dubai and Abu Dhabi.The road is as wide as it is long, much of the highway has seven to eight lanes in each direction.This main highway houses most of Dubai's soaring skyscrapers including the Emirates Towers. Sheikh Zayed Road also links Dubai's top attractions such as the Emirates mall, Dubai Mall, Burj Al Arab, Wild Wadi Waterpark, Dubai Internet City as well as Safa Park. Most of the Red Line of Dubai Metro runs alongside Sheikh Zayed Road as well, further connecting the road to all areas of Dubai. Formerly known as Defense Road, the road was expanded between 1993 and 1998.The name was changed at the same time with the expansion. It was named after the president of the United Arab Emirates at the time, the late Sheikh Zayed bin Sultan Al Nahyan. 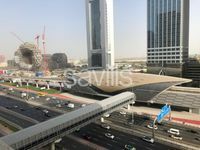 Apartments for rent in Sheikh Zayed Road are very popular, if you rent an apartment in Sheikh Zayed Road you are practically connected to all of Dubai. You can find a wide variety of apartments for rent in Sheikh Zayed Road, starting from studio apartments, one-bedroom apartments, two-bedroom apartments and even three-bedroom and four-bedroom apartments. Some apartments offer a wonderful view of the marvelous Dubai skyline and some offer a spectacular sea view, depending on the location of the apartment. 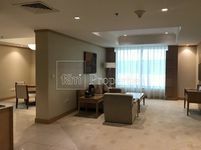 Most apartments for rent in Sheikh Zayed Road are unfurnished but you can find furnished apartments for rent in Sheikh Zayed Road and semi-furnished apartments for rent in Sheikh Zayed Road. Why rent an apartment in Sheikh Zayed Road? 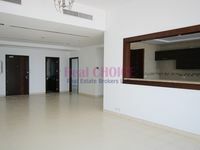 Apartments for rent in Sheikh Zayed Road are very popular. 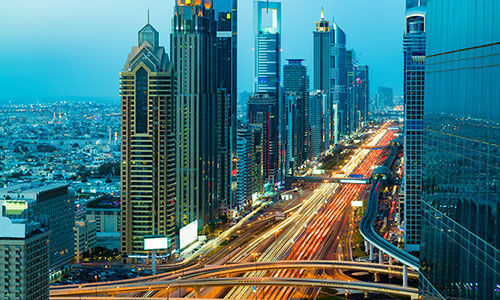 First, Sheikh Zayed Road is well connected to everything in Dubai, so renting an apartment in Sheikh Zayed Road puts you in close proximity to almost everything in the city. Second, the area is very chic and elegant, with all the towering skyscrapers and impressive landmarks. 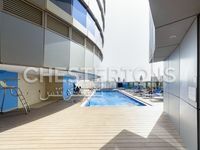 Third, all apartments for rent in Sheikh Zayed Road offer excellent amenities and amazing facilities. Prices for rental apartments in Sheikh Zayed Road range from 100,000 AED yearly to 300,000 AED yearly, depending on the size and the location of the apartment, as well as the amenities offered in the building. Apartments for rent in Sheikh Zayed Road are very popular with professionals because of their proximity to most business hubs, investors and expats in Dubai choose apartments for rent in Sheikh Zayed Road for the same reason.